Today, Public Knowledge, along with our allies Access Sonoma Broadband and Benton Foundation, submitted comments in the FCC’s Open Internet proceeding (that’s the net neutrality proceeding). Although our comments were long, their message was simple: it is time to do this right. It has been almost a decade since the FCC put out its “internet policy statement,” recognizing its critical role in protecting an open internet. 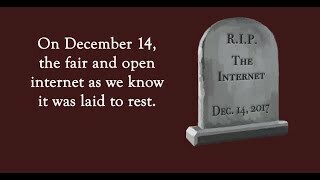 Since then, we have seen many things happen in the world of net neutrality. But we have not seen robust net neutrality rules capable of withstanding a court challenge. This proceeding is the FCC’s opportunity to finally fix that. In our comments, we explain why the Commission must protect a single, open, and neutral internet. That means that it should not create special wireless internet rules that turn wireless into a second class experience – especially because wireless connections disproportionately serve as the only link between traditionally underserved communities and the internet. We also explain– as we did in blog posts shortly after they were released – why the Commission’s current proposed rules are so problematic. By relying on its Section 706 authority, the Commission is forced to choose between two bad options: create strong open internet rules that are likely to be struck down in court, or settle for weak net neutrality rules that may survive court challenge but will not actually protect an open internet. When faced with a choice between those two options, the correct choice is “neither.” That is why relying on Title II authority is so important. The comments also highlight the important role that data caps play in the net neutrality debate. Fast lanes and slow lanes are one way to break the open internet, but capped lanes and uncapped lanes can achieve the same result. We have already seen Comcast, AT&T, and T-Mobile use data caps to insert themselves as gatekeepers of the internet. It is important for the FCC to recognize that discrimination by cap can be just as problematic as discrimination by speed. There has been a great deal of confusion surrounding what the FCC legally can and cannot do with regards to the open internet, so our comments explain in detail how to make the necessary classifications and how to apply rules going forward. While the details are there for those who are interested (check out sections 5-7), the short version is that the FCC has ample authority and ability to ground real open internet rules in its existing authority. Further, we discuss a proposal by Mozilla to only classify part of internet access service as a Title II service. While this idea is not a substitute for reclassification, it is something the FCC will have to do if it continues to rely on Section 706 as authority for open internet rules. 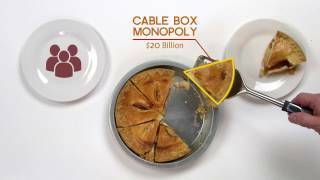 Interconnection has also been an important part of this most recent net neutrality debate. While today problems with interconnection are often most vividly illustrated by complaints about Netflix video quality, it is not hard to imagine these problems expanding to many edge providers in the future. As of now, the FCC has indicated that it prefers to address these problems in a separate proceeding. We do not object to that, but do remind the FCC that shifting it to another proceeding should not become a way to avoid the issue. Interconnection disputes will have a significant impact on the open internet, and the FCC must move quickly to find a way to resolve them. Finally, we push the FCC on its disclosure proposals. Disclosure alone will not protect the open internet. But it can help. If the FCC hopes to rely on disclosure, that disclosure must be adequate to allow those not working at ISPs to understand what is really happening on ISP networks and to recognize discrimination when it happens.